Already as a young man in his twenties Beethoven both knew and treasured the works of the poet, philosopher, playwright and historian Friedrich Schiller. Despite the fact that An die Freude was a poem that occupied the composer for much of his life, it was in one of his very latest works that he finally found the perfect place for his setting of the poem’s triumphant text. The symphony is written in four movements, where the first three follow the traditional form and the fourth is an overwhelming finale with four vocal soloists and chorus. Beethoven was deaf when he wrote the symphony, which was performed for the first time in 1824, three years before the composer’s death. The premiere was a triumph for Beethoven, who stood at the podium and indicated the tempo for the music, while an assisting conductor stood beside him to hold the many musicians together. When the piece was finished the audience broke out in a thunderous ovation. Beethoven stood downcast, facing the orchestra, until one of the singers took him by the shoulder and turned him around so that he could see the moved and adoring public with his own eyes. The aural landscape that was revealed to the audience that night must have been astonishing. Beethoven again departed from his normal practice in the order of the inner movements, as he had done in the Eighth Symphony, following the weighty first movement with a breakneck scherzo whose form was expanded to unprecedented proportions, and allowing the pastoral slow movement, with its seemingly unending melody, to provide a sharp contrast to the terrifying chaos of the introduction to the finale. It is as though the old world must be torn down in a violent din, before a new one — which begins with the baritone’s first verse — can be built out of the rubble. The Ninth Symphony was ground-breaking in its time, and its message and musical strength has stood the test of centuries, and not only in the concert hall and on orchestral programmes; it has become a powerful symbol of peace, tolerance, and freedom. It was played on the occasion of the fall of the Berlin Wall in 1989, and has been adopted as a hymn by the European Union and in countless other contexts where fellowship, joy and freedom are celebrated with grandeur. Wiebke Vestergaard is a cellist in Copenhagen Phil, and normally sits at the front of the stage to the right of the conductor, opposite the first violins. In their Beethoven recordings with Lan Shui, the orchestra has shifted the string section around, so that the cello section sits beside the first violins and just in front of the horns. The strings play their normal instruments in these recordings, but the horns and trumpets play on instruments that are copies of those from around Beethoven’s time. What difference does this make for the rest of the orchestra? 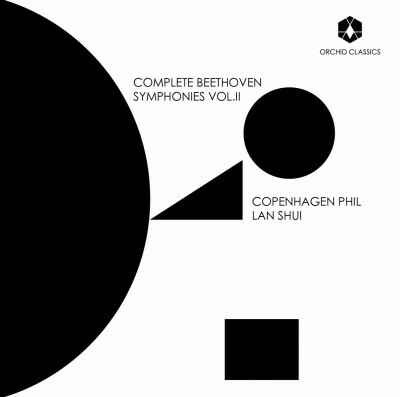 Lan Shui (the former chief conductor of Copenhagen Phil) sums up the benefits of using modern strings with historical brass and timpani in one word: “Lightness! It’s almost impossible to play heavily with this combination. An overall clarity emerges when everything works together — the size of the orchestra, forward motion, clarity, and lightness. The style suits me very well both as a person and a musician,” Shui says with a smile. Klara Ek was educated in Stockholm at the Royal Conservatory and in London at the Royal Academy of Music. She has performed in baroque opera, including works by Jommelli and Händel, and roles in Mozart operas. Ms. Ek has appeared as a soloist in oratorio and choral productions with orchestras around the world, including performances of symphonies by Mahler, the Brahms Requiem, and Beethoven’s Ninth Symphony. Shehas collaborated with conductors such as Bernard Haitink, Gustavo Dudamel, and Nikolai Znaider. Swedish-born Elisabeth Jansson received her training at the Hochschule für Musik in Munich, the Royal Academy of Music in London, and the Opera Academy in Copenhagen. She had her professional debut in Copenhagen as Cherubino in a Royal Theatre production in 2003. Since that time she has had numerous roles both home and abroad, in operas ranging from Wagner’s Die Valküre to Puccini’s Madame Butterfly; from Verdi’s Falstaff to Ligeti’s Le Grand Macabre. Ms. Jansson is also highly sought after as a soloist in oratorio and concert productions. Thomas Cooley is an American who has lived and worked in Munich for a number of years. Cooley is internationally sought after in concert and oratorio productions, and has performed roles in Britten’s War Requiem, Berlioz’ Nuits d’été, and in works of Stravinsky, Händel and Elgar. He appears frequently in roles in baroque operas. Cooley, who currently lives in the United States, has performed around the world and collaborated with conductors such as Michael Tilson-Thomas, Osmo Vänskä, Wolfgang Sawallisch, and Michael Schönwandt. Liao Changyong was trained at the Shanghai Conservatory, where he is now the Chairman of the Vocal Performance Department. He had his debut in 1995 and has since received honours in a long list of prizes and competitions. Liao Changyong has performed numerous operatic roles, including the title role in Rigoletto, the Toreador in Carmen, and Germond in La Traviata. He has also appeared with orchestras around the world, among them the San Francisco Symphony, London Symphony Orchestra and Tokyo Philharmonic. Since its inception in 1979 the Danish vocal chamber ensemble Ars Nova has performed both early and contemporary music at home and abroad. Ars Nova has established and maintained a high standard throughout all of its years, making the ensemble among the most sought-after in Denmark. The Latvian Radio Choir was founded in 1940 and has since performed newly-composed Latvian music alongside repertoire from the 20th Century, the romantic era, and reaching all the way to the baroque and renaissance periods. The choir’s consistently high standards has secured international demand, and has resulted in numerous collaborations abroad, including tours in France, Germany and Austria, among others. Sivgards Kjava was appointed as the ensemble’s principal conductor in 1992. Even in his own lifetime the German poet Friedrich Schiller managed to influence the spiritual life of the whole of Europe. His dramas, including The Robbers, William Tell, and Don Carlos, stand as pillars of European theatre. In addition to dramas, Schiller wrote poetry, philosophical works, and novels. He had a significant friendship with Goethe, and worked extensively on a synthesis of the philosophical works of Immanuel Kant. It is difficult to overestimate Schiller’s influence on the literature and philosophy of his time. A long list of his poems and dramas has been set to music. Schiller penned the Ode to Joy in 1785. Copenhagen Phil is dedicated to renewing and developing itself in order to play a significant role in its culture and to maintain relevance in society at large. An important aspect of the orchestra’s culture is that everything is accomplished internally by the musicians and administration together. The orchestra’s comprehensive work with children takes as its starting point that all sensory and experience-based learning creates an opportunity to cultivate a relationship to art and culture, and that this opportunity renews itself again and again. Copenhagen Phil has developed new concert formats, including the indie-classical series “60 Minutes,” unique concerts where the orchestra works with artists across genres. The orchestra has also set a focus on establishing and cultivating a meaningful presence in the digital world, being among the first orchestras in the world to conduct successful “flash mobs,” which later became viral videos on YouTube. This success is being followed up by a large-scale digital project entitled “Open Orchestra”, where internet users all over the world can embark on a journey of musical discovery behind both the music and the orchestra’s musicians, and ultimately join in and play along with the orchestra. 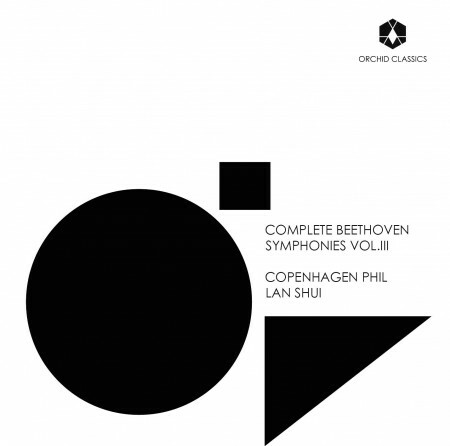 Lan Shui was the Chief Conductor for Copenhagen Phil 2007-2015. Shui was educated and trained as a conductor in China, where he had his debut on the podium leading the Chinese Central Philharmonic Orchestra. He continued his studies in the United States in the 1980s, where he conducted numerous American orchestras, among them the Los Angeles Philharmonic and the Detroit Symphony Orchestra.